Weleda One Step Cleanser & Toner is a handy 2-in-1 lotion that's perfect for travel and busy lifestyles. 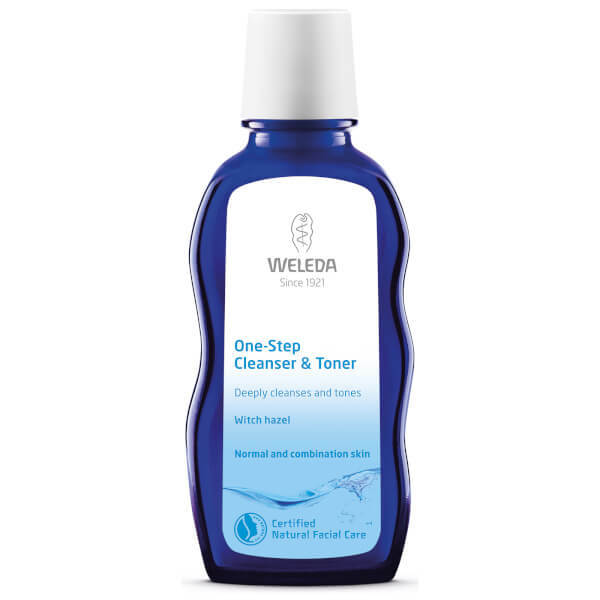 The deep-cleansers removes dirt, oil and impurities from your pores, whilst the toning action is enriched with witch hazel, which acts as an astringent on the skin. Soothing and cooling, this multi-tasker also regulates the skin to balance out oil and moisture, leaving you with an even complexion.